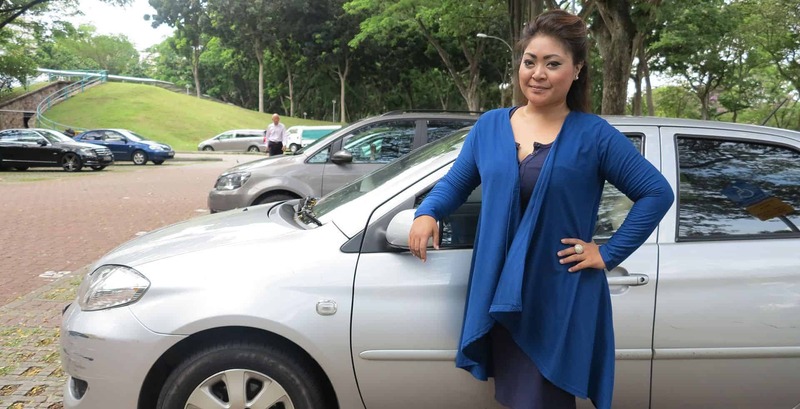 After being retrenched from her job as a customer service executive, Siti Nurraihannah, better known as Anna, moved to Grab in search of greater work-life flexibility and control over her career. Over the course of two years, she has gained so much more. According to a recent survey, work-life balance has become the top reason why Singapore employees leave their job. It is also what keeps Grab driver Anna on the road. A typical workday for the former customer service executive involves sending passengers to their destinations and checking in regularly with fellow drivers on traffic conditions and optimal driving routes, all while being on standby mode for her father, who is chronically ill.
“The benefit of being able to plan my own time is very crucial for me as my dad is ill and sometimes requires me to bring him to the doctor urgently,” said Anna, who is currently her father’s primary caregiver. “The flexibility and control you have over your time and earnings makes driving attractive and suitable, especially for women with families!” she adds. Having previously worked in a customer service department, Anna is no stranger to striking up casual conversations and connections with people. But beyond ensuring customer satisfaction for the sake of work, Anna says that she personally enjoys the “people and communications” aspect of a job — something that comes with the territory as a Grab driver. Driving for Grab has allowed Anna to take control of her finances. Here’s why: as a Grab driver, you call the shots on how much you make and how long you work every day. Looking to earn more? Stay online and complete more trips within a day. Craving some quality time with the family? Take a break and claw back your earnings later by accepting peak-hour bookings and taking advantage of driver incentives. “Now, not only do I have a new career that pays decently — I earn about $600 a week, after taking into consideration rental fees and petrol costs — but it’s one with a lot of flexibility and potential,” Anna enthuses. #4 Who Needs Google Maps When You Have Friends? At Grab, Anna has found a trusty group of fellow drivers that she can depend on and that depends on her. These friendships extend beyond the workplace. The group of drivers meets up daily for a quick catch-up over lunch breaks and supper. When a driver is feeling down, he or she can always rely on someone checking in on them. “We motivate each other. If I don’t log on [the app], someone might message me asking me why I’m not driving or if I’m okay,” she smiles. Looking to boost your earnings? Here are four reasons that Grab is the go-to career choice.